I’d like to talk a little bit about The Future and what we think The Future looks like. When you think of The Future—be it thirty years from now or three hundred—what is your mental picture? Electric cars replacing gas-driven cars? Driverless cars replacing drivers? Flying cars? Holograms? Putting a tiny pizza into a magical Hydrator that makes it ready to eat in five seconds? Interconnected displays for all your social media needs in every room of the house? Holographic displays, because those are cooler? Accessing the internet with your brain? Face-mounted displays like Google Glass or Oculus Rift being the norm rather than a rarity? Spending a great deal of time in a VR environment with photorealistic virtual avatars that may or may not actually represent the real you? Will the internet still be like the one we know today or will it look and operate a lot differently, whether from technological advances or the interference of government regulation or capitalism? Will we all have our own personal AI assistant? When you think of The Future, do you only imagine advanced technology that a wealthy, end consumer in a first-world country would own? Lily is the lady protagonist of Eidolon, and unlike me, she grew up with a very clear picture of how the tech industry, the Internet, and its denizens marginalize women. Especially women in technology or some other space erroneously identified as being straight, white, cis men-only. Computers have been around a long time. While you might think of computing as a male-dominated industry today, which it is, women were the original pioneers in programming while their male counterparts were “more interested in building” the machines for which women wrote the first algorithms and computer languages. Women like Ada Lovelace and Grace Hopper. Then in the mid-80s when personal computers were entering US homes, marketing began targeting young men. This marketing in addition to ‘80s pop culture pushed the stereotype that computers (and later, video games) were for boys. Girls who were interested in computer science were overlooked, discouraged, and pushed out. One of the advancements I postulated in the near-future setting of Eidolon is a marked expansion and adoption of human-like robots, which are manufactured and programmed by a large (fictional) tech company named SystemOne. The name of their bots? Eidolons. A lot of how I imagined Eidolons is based on the speed of advancement of existing tech, on how current tech is (or isn’t) adopted, and on the various pitfalls and ethical questions current tech has faced. Let’s talk hardware first. Scientists are coming up with some amazing new materials. One of the most talked about is graphene, which is a thin layer of pure carbon. How thin? One atom thick. And graphene has a whole host of amazing properties with more still being discovered. The potential applications include major advancements in electronics and energy storage, leading not only to flexible, nearly transparent cell phones but also to powerful robot brains made of graphene circuitry and even artificial muscles made of graphene. It's official! Eidolon will hit virtual shelves on October 2nd, 2015. Visit its page for pre-order links, an excerpt, and more! You can even read the first 15% by visiting SmashWords. 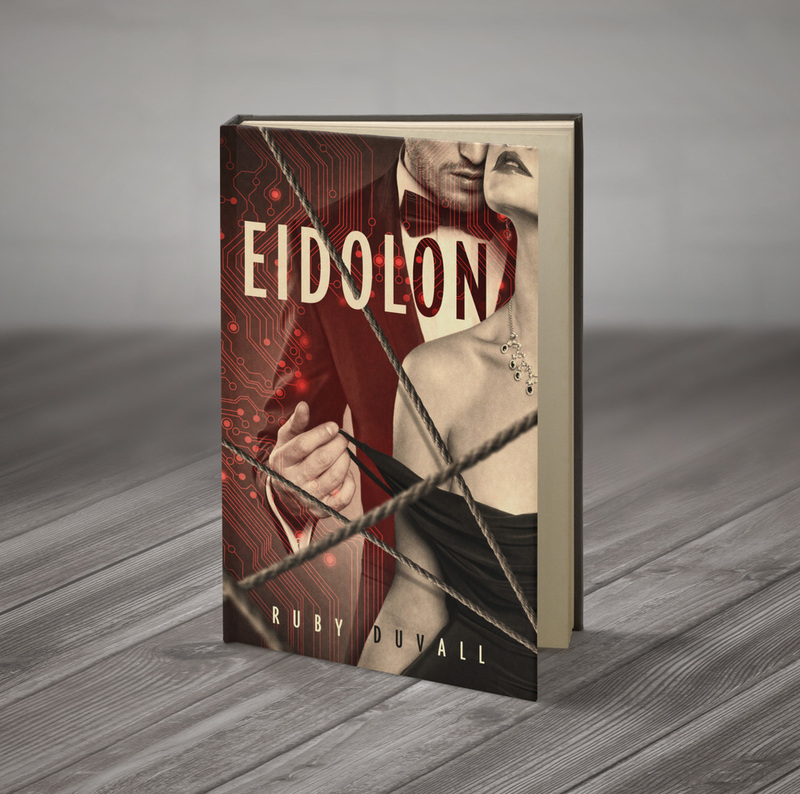 And don't forget to add Eidolon to your GoodReads shelf. I'm also excited to announce a series of GoodReads giveaways starting on September 23rd for a chance at the print edition. I'll be giving away several copies in October and November, so be sure to sign up for my newsletter at the bottom of any page so that you don't miss your chance to win! You can also follow me on Facebook or Twitter for announcements. Note: if you win a copy and live outside the continental US or Canada, please be aware that shipping may take up to 5-6 weeks.